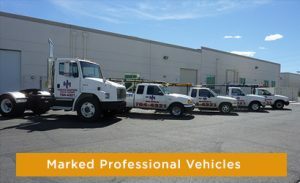 Experience, combined with a Worker’s Compensation rating that is 25% below the standard means we are the BEST in Las Vegas! Chances are as you’re driving down the Las Vegas Strip and see a window cleaner hanging 40 stories above that’s our guy! 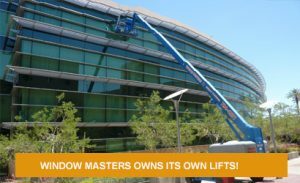 Because Window Masters holds such high standards when it comes to safety and efficiency we’ve had the privilege of being trusted by some of the biggest names in Las Vegas for years when it comes to high-rise or casino window cleaning. Our standards are so high when it comes to safety and quality that we’ve even built an indoor training facility where each employee is trained and tested on before going out into the field. Window Masters owns most of its large equipment necessary to handle large job sites which allows us to come in at affordable, competitive pricing to meet your RFP or yearly budget’s needs. 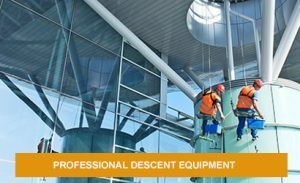 Please take a look below at all of our commercial window cleaning services. Call us for an estimate! 702-794-4321, or fill out the form and we'll call you back! We live in far west Summerlin and the dust was literally caked onto our windows. A friend recommended Window Masters, said they were professional, fast, and reasonable priced. Our call to Window Masters was promptly answered, a price was quoted that was within my expectations, and they were able to easily accommodate our schedules. The window washers showed up 5 minutes early and started promptly. They quickly and efficiently cleaned the interiors of the windows and then moved to the exterior of the house. They completed the job faster than promised. Turns out the “caked on dust” was actually paint over spray from interior painting that had been recently completed, Window Masters’ guys brought it to our attention and took the time to get the paint off the windows at no extra charge. I highly recommend them! Wonderful customer service! We used Window Masters for our home in Summerlin and were thrilled with this company. They were on time, provided impeccable service and the windows looked amazing afterward. We will most definitely use them again and will recommend them to all of our friends. Thank you Window Masters for being so reliable and for exceeding my expectations. © 2015 Window Masters. All rights reserved.